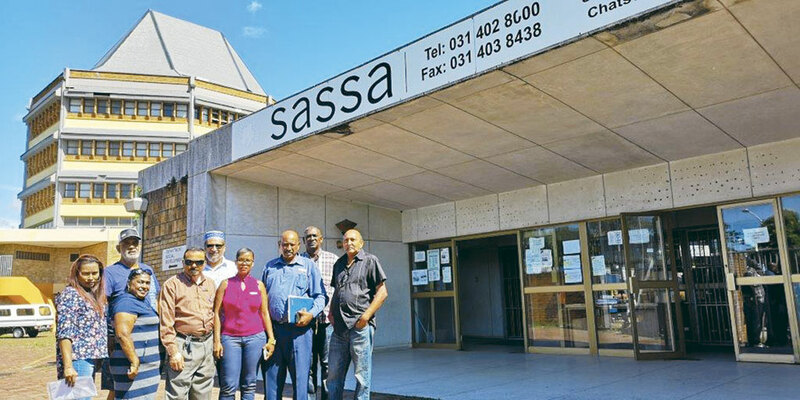 Democratic Alliance (DA) ward councillors, BEC members and constituency head Moulana Rafeek Shah, recently conducted an oversight visit at the Chatsworth Home Affairs and South African Social Security Agency(SASSA) offices. “This was in our quest to have the services escalated speedily to have smart cards, passports and other similar documentation done in Chatsworth rather than having our residents to go to either Durban, Pinetown or Isipingo for these documents. Our investigation revealed that staff were working under severe strain from a building that needed immediate refurbishment,’’ said DA Ward 70 councillor, Tony Govender. the roof running down the walls. There was also a tiny room where documentation were heaped to prevent them from getting damaged from the water leakages. “Our concern is if this is not taken seriously by the Public Works Department to refurbish this building as a matter of urgency, then we are in fact waiting for an imminent disaster to happen,’’Govender said. Moulana Rafeek Shah said that they are committed to get relief for all residents and that they will most certainly push for the services to become a reality in Chatsworth. Last month, The Chatsworth Tabloid spoke to office manager of the Chatsworth Home Affairs, Ronnie Perumal about some of the issues their office is facing. Perumal said, “The crux of the issue is no fault of ours as the department. I have looked for premises outside our current venue which would be able to accommodate us but there is nothing nearby which would be able to accommodate us.” He said their main concern was that of the structure. “The Department of Public Works will need to address the issue. The roof is old and may need to be removed and replaced. It is not that as Home Affairs we do not want to provide services, we hope to do so. The challenge that we face is that the building structural issues are not being resolved. Once the roof is sorted out, we will aim to resurface the floor’’.